San Francisco might only be “7×7,” as they say (taking up just seven square miles) but it is jam- packed with shops, restaurants, bars and things to do. I’ve lived in the Bay Area my entire life; I went to college in SF, and spent many years bopping around this wonderland of a city. After college, I essentially went on a five-year hiatus of barely visiting, but now I’m working in the glorious (well not always, it can be downright foggy here sometimes!) city once again. Little Skillet is inside Victory Hall, a fantastic bar hidden down a small street near Caltrain & AT&T Park. The chicken & waffles here are the bomb, of course, but one of my favorite things to get (albeit very guiltily) is the waffle dog. Delicious waffle wrapped around a sausage, which is wrapped in bacon. YES. Venue Tidbit: Victory Hall is also a fabulous place to rent out and have a dinner or gathering; they have a side room with old barn doors for a secluded yet totally trendy SF vibe. This place is not cheap or easily bookable for reservations, but it is by far one of my favorite places to have dinner. Owned by super-chef Tyler Florence, the ambience alone of Wayfare Tavern – a mix of dark wood, Barbary Coast-era touches and a fireplace to boot – is enough to make me a fan. Then you add in the popovers, and the deviled eggs, and then the motherlode of them all…the burger. Add the egg on it and just eat away, blissfully! Of all things holy…I don’t really know what to say about this place other than just GO. They open at 7 a.m. on weekdays and 8 a.m. on weekends – and once they sell out, they close the doors for the day. Brioche donuts, croissants, the towering cruffin, the savory pastries – this place is just beyond words. Cruffins start selling at 9 a.m. – make sure you are there an hour before if you hope to get your hands on one. 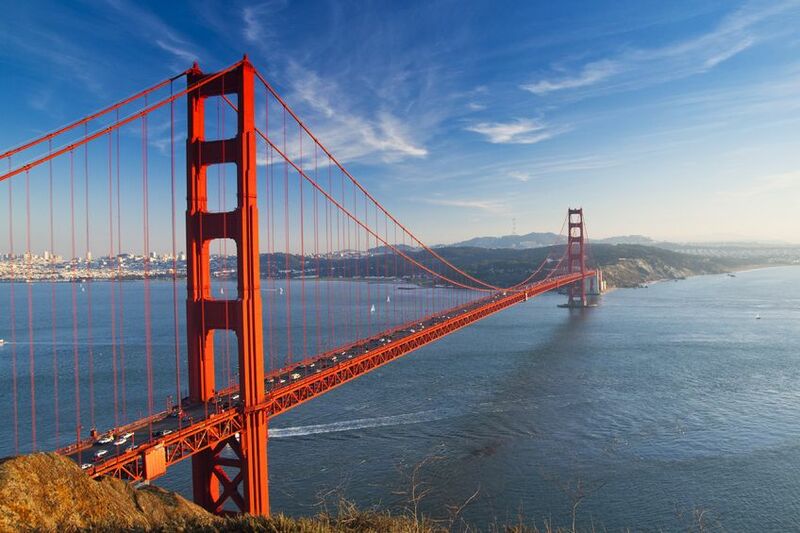 So along with this city being a foodie paradise, San Francisco is known for its many festivals and events. Summer is the perfect time for a visit as there is something going on almost every weekend. You can find indie bands rocking out in a field, or leather chaps on Folsom Street (more about that only-in-SF fest later!). No matter what kind of afternoon entertainment you’re looking for, you’ll most likely find it. There’s a reason why everyone flocks to this festival, and it can be summed up by the following: Mumford & Sons, Kendrick Lamar, Milky Chance, Wilco & Elton John. Then add in a TON of food, wine and beer. It really is that perfect. Unfortunately, the 2015 event is already sold out, but make sure you watch for next year’s line up — they usually open sales in spring, so grab tickets the moment you can! If you haven’t figured this out yet, you should know that San Francisco loves to eat and drink. Enter the “Eat Drink SF” fest, one of the cities best festivals held at Fort Mason every August. With day passes starting at $95 to weekend passes going for $675, this is a serious investment. However, Fort Mason is a massive warehouse that EDSF fills up with premier restaurants, bars and vendors. You can go to a grand tasting, test your wine skills with top SF sommeliers, have an epic brunch party, or check out the Taco Knockdown by Milagro Tequila, a kind of friendly battle-to-the-death — accompanied by music and cocktails — to create the best taco. The options are endless, which makes this festival one of my absolute favorites. I’m not a lover of opera, but this event makes it so much easier to enjoy because 1) it’s free and 2) you can totally not dress up. Starting at 1:30 p.m. on September 13, the SF Opera celebrates the opening of its 93rd season with its stars accompanied by the San Francisco Opera Orchestra. Bring a picnic, grab a patch of grass, and enjoy a lovely Saturday. Not for the weak of heart or those who shock easily…but I simply had to put this festival on the list because it is truly San Francisco. This city is a melting pot of tech geeks, lawyers, artists, chefs, wanderers, freaks and eclectic personalities – and so, voilà something like the Folsom Street Fair, one of the largest fetish & leather festivals you will ever attend. Oh, and since it’s legal in San Francisco, there are lots and LOTS of naked people. Also: drinking and dancing. It’s something to experience at least once in your life to see how truly bizarre and fantastic the world really is (or at least SF!). So that’s my list of things I’ll be doing this summer — in addition to finding the perfect rooftop bar, of course — and if you find yourself in the wonderful land of SF, please go try them for yourselves!